Before you spend money on making the real thing? 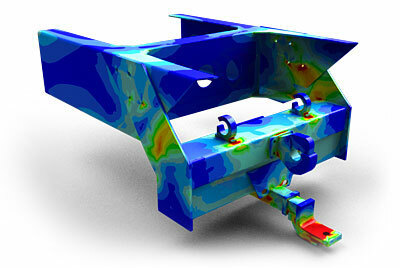 Finite Element Analysis - It's a virtual stress test. We build a computer model of your product / structure that calculates how it it performs with your materials and the loads. The FEA model breaks bigger things down into finite bits (elements), and analyses them! After the model is analysed you can see where it will break and how much it deflects. 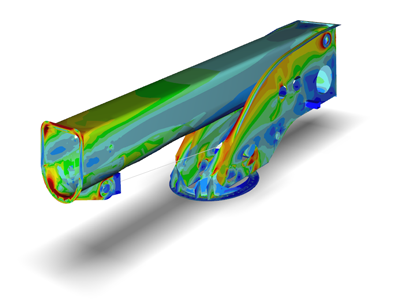 FEA can be one of the quickest and easiest methods of detecting problems with your design. Early detection means that the issues can be resolved even before your design goes to production. 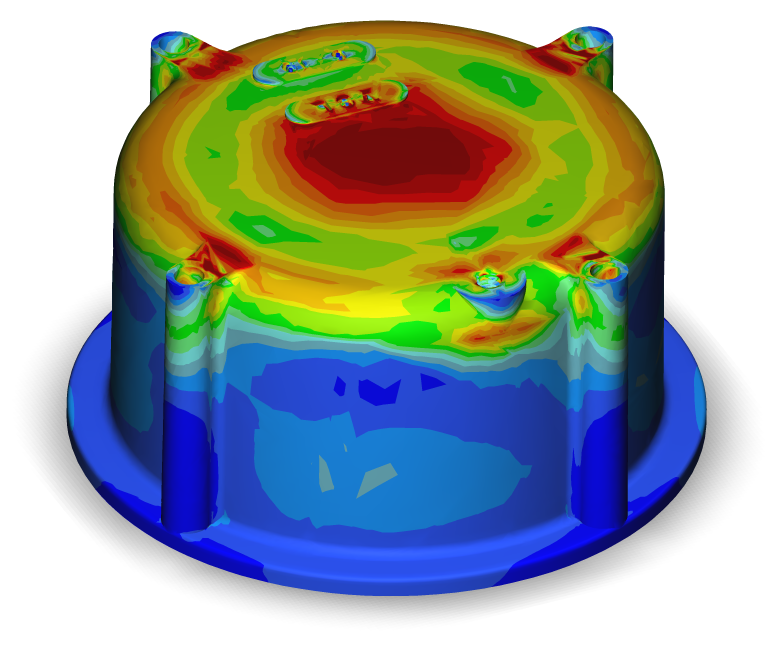 FEA gives you the confidence to know that your design will serve its intended purpose. Ever beefed up a steel fab to make sure it wouldn't break? Often beefing things up just moves the high stress somewhere else! Worse still, fabrications subject to fatigue can take a long time to fail. Ever got a product through prototype, tooling and manufacture only to find that your customers found a way to break it? FEA is a cheaper way to build and break parts. Identify any problems then quickly test ideas to fix them. See how parts interact in the context of their assembly. 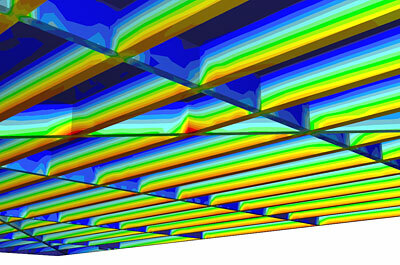 You get an FEA analysis and report for your design showing how it will perform under given loads. Plus we provide suggestions on ways to improve the design, if improvements can be made. We have developed a process to rapidly optimise material quantities and orientations in the composite layup, as well as providing invaluable insight into fatigue and ultimate failure situations. 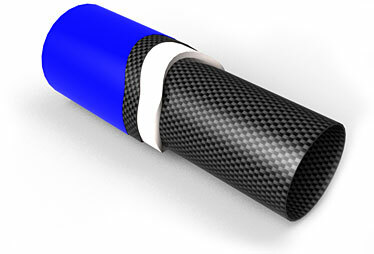 We even design tooling for large composite structures. 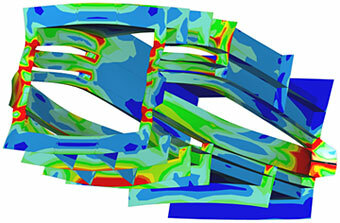 FEA offers a real opportunity to save money on materials for composite manufacturing. 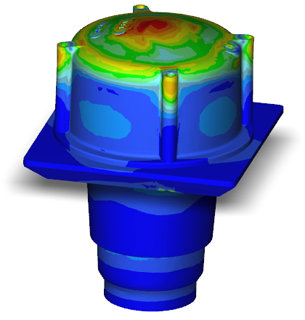 Feasibility FEA allows you to test your concepts to see if you are even in the ball park. Find out if your idea is worth investing any more money and time in! 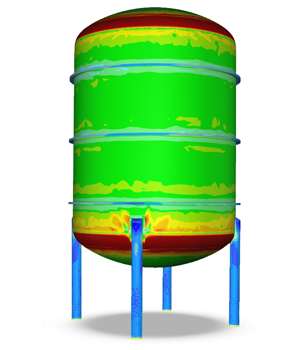 FEA allows you to quickly iterate between design variations and get optimise your results. 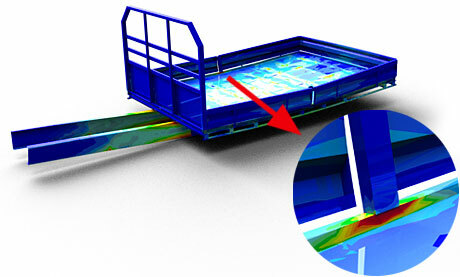 Conducting FEA on a virtual model is much cheaper and faster than making and testing actual prototypes. 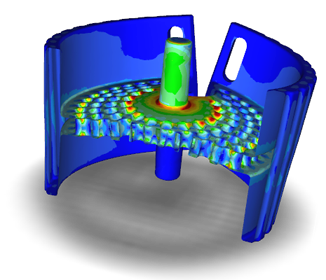 If you need to know precisely how your product is going to perform, Validation FEA uses advanced simulation methods to give you an in-depth look into the structural mechanics of your product. But, how will you fix the problem(s)? If you need to find out where and why something has gone wrong. 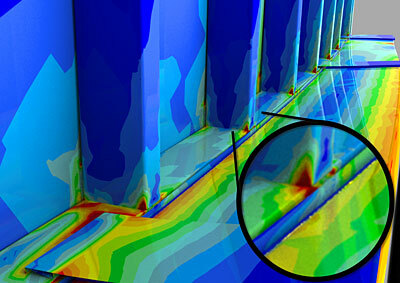 Forensic FEA help find the root cause problem for you. We can build a virtual model of your product, test it against its expected working conditions, and approve your designs for their intended purpose, providing you with a “Fit For Purpose” Engineering Certificate.